Shoji launched an interesting conversation last night about the count off of this tune. If you listen carefully, the eight bar tune has an extra two beats in the first chorus that accomodates the melody. If you count such that the band kicks in at "one" you'll need two bars of the one chord plus two extra beats. Another way to think of it could be to count to two such that the band plays three and four then plays the two bars of one chord you'd expect. All the same sounding result, but worth understanding as you lead a band on this tune. Of course, there are other solutions - you can compress the melody such that those two beats aren't necessary. You can also start the melody on your own such that the band rolls in after you've played two beats. A third solution would be to dispense with that melody or alter it so that you don't need ten beats of one chord. As Joe summarizes it, the important thing is that you, the front man, need to have "big ears" and be alert and paying attention to the changes, perhaps cueing the band if they miss them. Of course, it'd be nice if the band had big ears too and was alert for how the melody flows. This should in theory cue the chord change for them, but don't count on it! 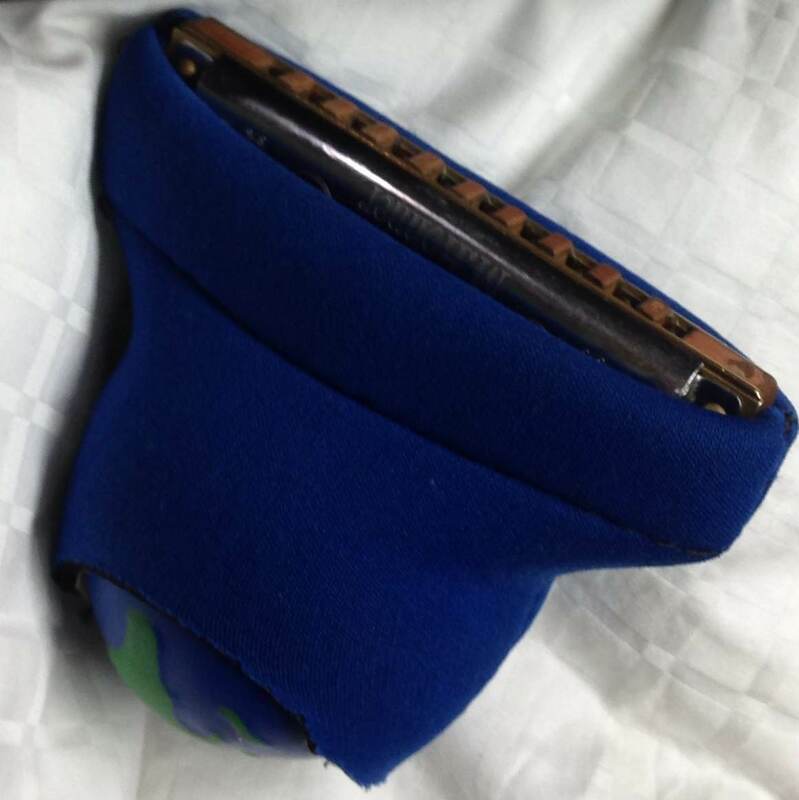 Harmonica Einstein's Midnite Harmonica Muffler: "The Huffler"!!! Last week, B1’s own Harmonica Einstein, Highway RickEy, showed us how to use a soft pillow to help soften those blow bends you practice. Never one for sitting still, RickEy spent last week inventing the Midnite Harmonica Muffler…also known as The Huffler. Are the dogs howling while you practice? Is your spouse harping about your harping? Do you want to practice more after midnight? Then you need . . . Yes, a muffler for your harmonica! The Huffler is a handy device that muffles and cuts the volume in half when you practice. Another super invention by Harmonica Einstein! "What will he think of next?" Visit the website to learn more and order: TheHuffler.com! Private lesson sign up is happening now.